After a few hours trapped inside the cinderblock walls of your tile-floored dorm room, you’re probably wishing for some sign of life. It can feel a little cold and industrial for a place you’re spending several months living in—especially with that eerily flickering fluorescent light overhead. Make a change and hide the less impressive features of your dorm beneath some decorative plants. These decorative plant ideas will turn your dorm into a true paradise. You may roll your eyes and dismiss the latest hipster trend, but they’re becoming popular for a reason. “Succulents are easy to care for. Being a busy college student, I forgot about watering my other plants but the succulents never took harm from that,” said Florida State University senior Scarlet Dunkley. 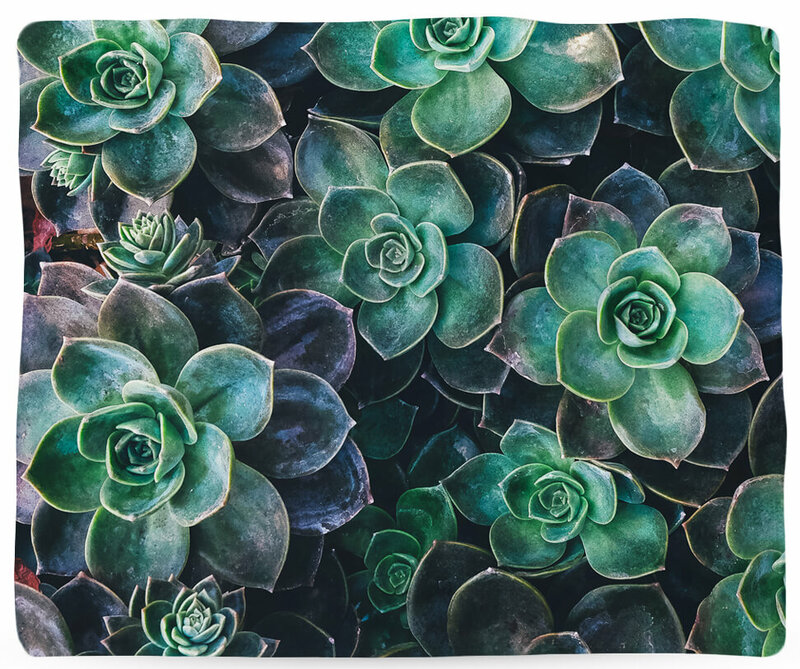 They can even survive without too much sunlight—perfect for your poorly lit dorm room. If you don’t want to bother taking care of something, try something snuggly that will still allow you to rock that green thumb vibe. Even the most anti-hipster part of you will want to give in to the trend. With those prison-like walls hidden, your dorm will give off much warmer vibe. 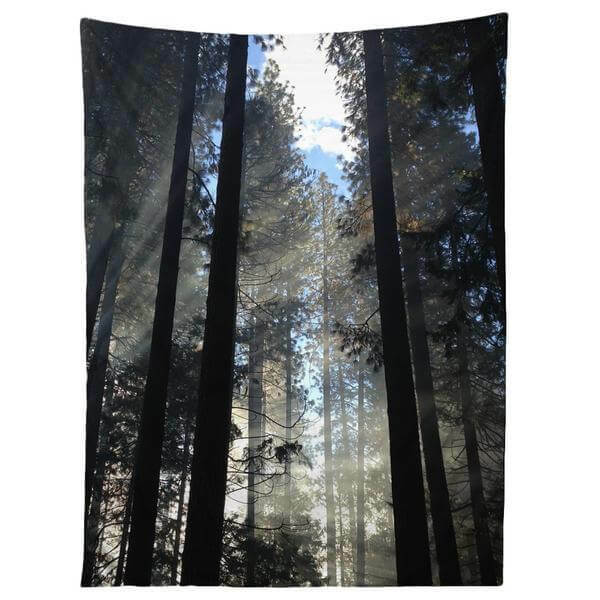 “I would definitely want the tapestry of a forest. Not only because it would bring some character to the room, and maybe a little serenity, but because it’s a reminder of all the beautiful places out in the world that I still want to explore,” said Marist College senior Kait Franey. A soothing design will make you feel like you can almost feel the gentle nuzzle of a deer and hear the sounds of rabbits hopping along the soft forest floor. Plus, you won’t need to buy a dozen posters to cover those plain walls. You’re welcome. 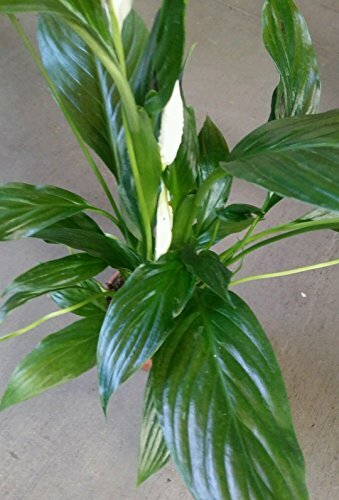 If you don’t have a green thumb and every plant you’ve ever bought has shriveled up, then the peace lily is for you. This will be one of the easiest for you to take care of, and the hardest for you to kill. It doesn’t take up too much room, so it’ll look perfect on your desk. It also has a beautiful white flower that’s sure to make you smile every time it blooms. Pair it with a simple, elegant vase, and bring peace to your stressful life. This will bring a bit of nature into your room and save you from the dreaded fluorescent lighting. 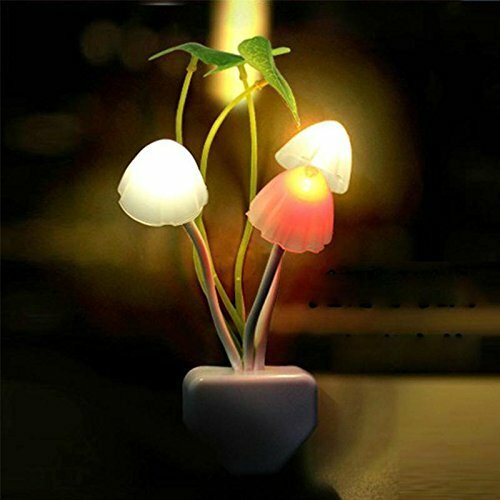 Put it by your bedside and turn it on at night when you want the room to have a cozy feel. Then, settle in to read your favorite nature-themed book and enjoy the soft, warm lighting that fills your room. Who doesn’t love the look of an overflowing vase of flowers in their home? Unfortunately, flowers aren’t cheap, and your boyfriend probably can’t afford to buy you a bouquet every week. “I like fake flowers because they are easy upkeep, easy to switch up and can brighten up any room or study session,” said Elon University junior Victoria Simpkins. 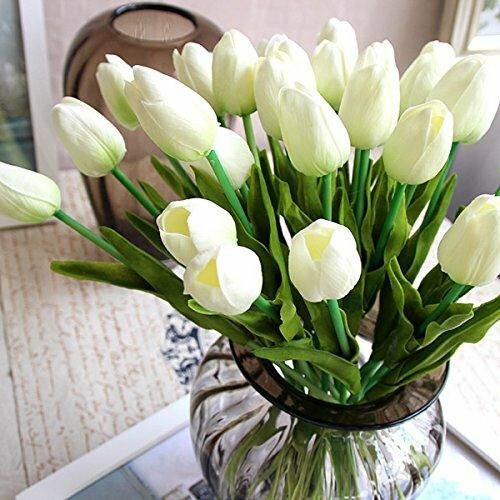 This bouquet will add some romantic charm to your room and make you smile when you walk in. Plus, now you won’t need to spend big bucks on expensive flowers everyday. “Whenever I look at the Bonsai tree, I think of one of my favorite movie characters, Mr. Miyagi,” said recent FSU grad Nick Arias. All of your friends will also be sure to admire your miniature plant friend and your dorm room will probably be flooded with its admirers. What an easy way to make friends. Maybe if you’re lucky, it’ll grow into a baby Groot and become the life of the party. Curl up under something cozy and add some southern charm to your room. 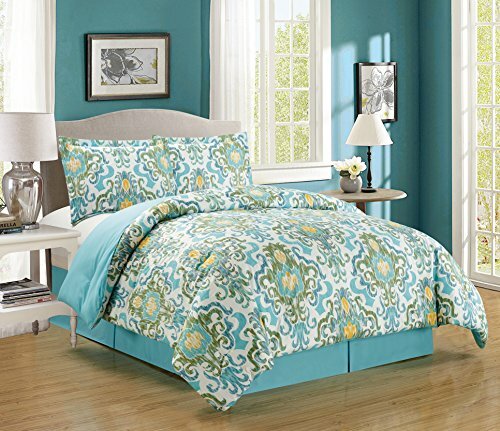 Cute patterns are definitely trendy, and this will keep you warm when the temperature control in your dorm room simply won’t go any higher. Plus, its coziness will provide a welcome distraction from your hard dorm-room mattress. Head over to your nearest painting class and whip up a plant painting of your own. Then, when you realize that your painting skills are lacking, log into your Amazon Student account and check out some beautiful plant artwork. 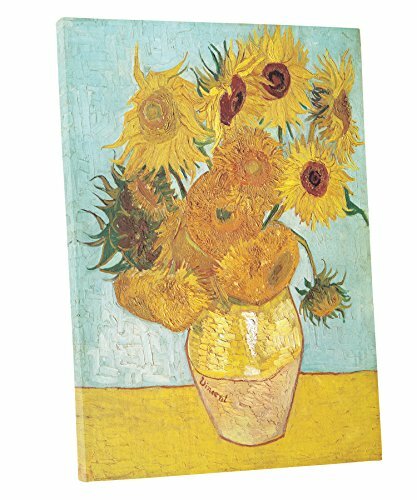 This decoration will brighten up your dorm room, and add some class to balance out all those One Direction posters you don’t have the heart to throw away. Their spiky tendrils add a modern, cute look to your dorm room. 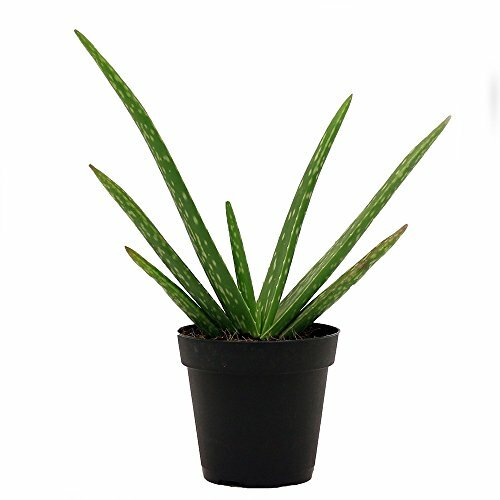 “I love having an aloe plant in my room because it is super easy to take care of and I don’t have to worry about killing it if I forget to water it for a while! Plus, I have a constant supply of fresh aloe,” said NC State University senior Kayla Rosen. As a bonus, if you’re constantly getting paper cuts from the piles of notecards you’re constantly studying with, your new BFF is here to help. Break off a small piece and rub it on your cuts for cool, soothing relief. Just don’t get more cuts from its spikes in the process. If fake flowers aren’t your thing but you can’t live without your favorite blossom in your room, then consider drying flowers. Buy a bouquet from your nearest grocery store, or flower shop if you’re feeling fancy, and get to work. Enjoy the flowers for a few days, and once they start to wilt, preserve them by hanging them upside down to dry out. You can leave them this way for a unique decoration, or take them down once you’ve dried them out and arrange them in your favorite vase. What Happens When You Don’t Love College Right Away?